10km Cliff Path Night Run: From the Hermanus New Harbour to Dutchies Restaurant at Grotto Beach. 6km Cliff Path Fun Run: From The Marine Hotel to Dutchies Restaurant at Grotto Beach. Plenty of parking at Grotto Beach, use our shuttle to the Marine Hotel and New Harbour and join us in one of these awesome runs. 6km Fun Run shuttle will leave Grotto Beach at 17:30. Fun Run will start at 18:00 with Prize Giving at 20:00. 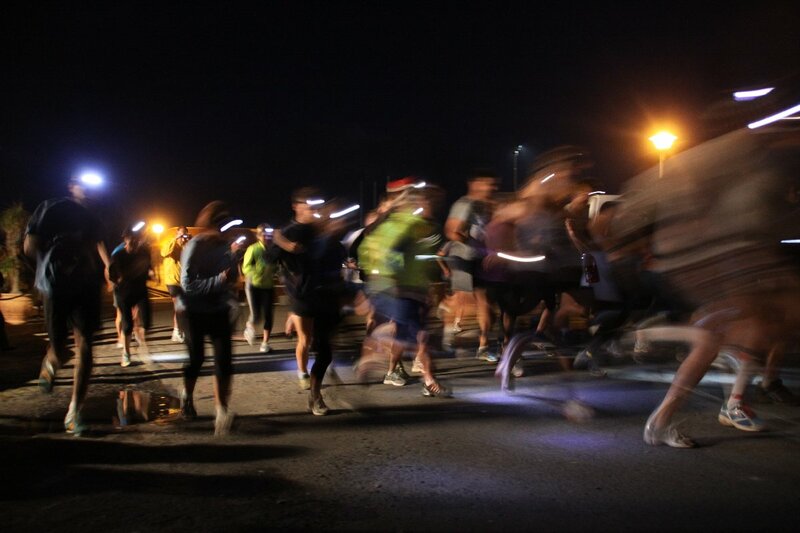 10km Night Run shuttle will leave Grotto Beach at 18:00. Registration at New Harbour will open at 18:00. 10km Night Run will start at 18:30 with Prize Giving at 20:00. This is a night run, a torch or headlamp is compulsory. Phone torch not sufficient! Great cash prizes for 1st, 2nd & 3rd place, men and ladies. Whale Tail medal for all and Great Lucky Draw prizes at 20:00.
cashkows.com -What’s the red cow doing in town? An international financial services brand founded in Hermanus. What do they do? “We full-fill the dreams of South Africans living abroad by moving retirement annuities, preservation funds and inheritances to their new home countries”. What else? They are patrons of Hermanus Rainbow Trust and sponsors of the Cliff Path Night Run.